This photo was taken on a road trip to the Badlands, just outside of Drumheller, Alberta. I’m using a telephoto lens to take the picture from our van window. 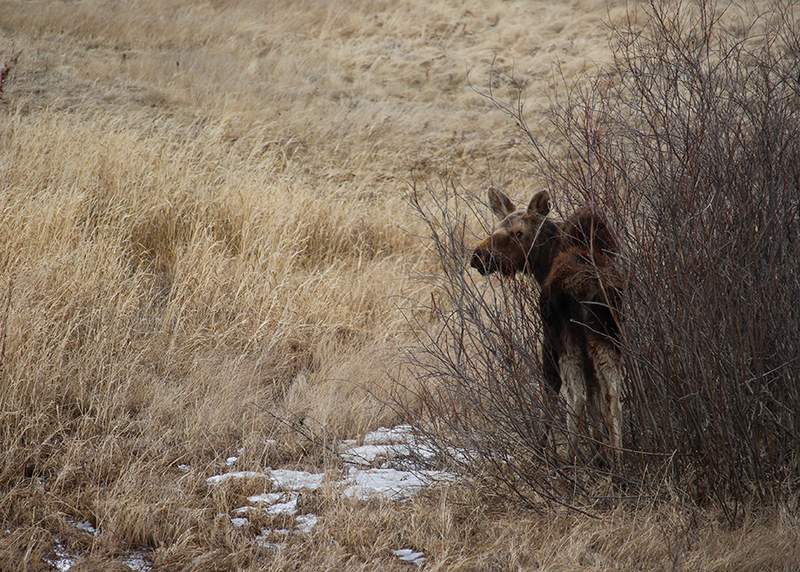 I’m saying, from far away, “Hi, Sweetheart,” to the baby moose and s/he is looking to see who said that.